Volga-Dnepr Airlines has operated a series of An-124-100 and IL-76TD-90VD charter flights and utilised the scheduled Boeing 747 freighter services run by its sister airline, AirBridgeCargo (ABC), to help deugro Airfreight GmbH deliver vital equipment for a new liquefied natural gas (LNG) production plant on the Yamal Peninsula in northwest Siberia. 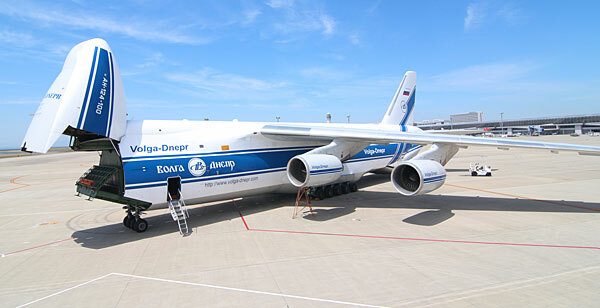 The Volga-Dnepr Group’s unique “Cargo Supermarket” service helped deugro Organization find the best service/cost combinations for the flights, which operated out of Europe and the Asia-Pacific region. The project commenced in 2015. In 2016 airfreight part started with two IL-76TD-90VD flights from Frankfurt-Hahn Airport to Sabetta, Russia. The first flight carried 46 pieces weighing a total of 29 tons, followed three weeks later by a second transport with another 31 pieces totaling 17 tons. In November, more equipment destined for the LNG plant was carried on board AirBridgeCargo’s scheduled 747 freighter services from Singapore to Frankfurt and from Shanghai Pudong Airport to Amsterdam, from where the shipments then continued their journey by sea. The most recent flights included an IL-76TD-90VD out of Liege and an An-124-100 out of Dalian, China, both at the end of January 2017, to deliver more vital equipment destined for the LNG plant in Sabetta, Russia. deugro was awarded part of the logistics program for the Yamal project and has already shipped over 700,000 tons of cargo to module yards in China and the project site in Russia. In addition to organizing various air charters using An-124-100, IL-76, and Boeing 747 freighters in support of the project, deugro has operated 16 voyages by sea to the remote, ice-bound port of Sabetta through the Northern Sea Route. More flights are planned for 2017 using the Volga-Dnepr Group fleet.